Sick of your coffee leaving dark brown rings on your desk at work? 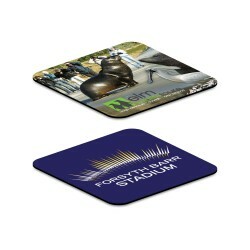 Kill two birds with one stone by investing in our promotional coasters. Not only are these printed coasters practical, they also act as a marketing tool, allowing your name to be displayed in front of customers on a daily basis. They can even be handed out at meetings, trade shows, conferences and other public events to increase your visibility! Why it pays to choose your branded coasters from Reusable Coffee Cup Experts Our branded coasters are available at a terrific wholesale price. We provide expert advice if you want it, no obligation quotes, and delivery across the whole of Australia. 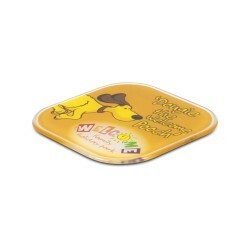 If you find promotional coasters for less with another company, we'll drop our price to match your quote! Keep your name on the table - literally - by asking about our printed coaster offering today. 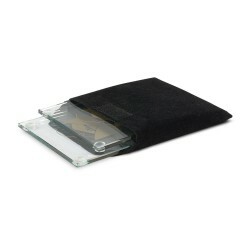 High quality, machine-cut set of 2 glass coasters in a smart gift box. Can be pad printed or laser engraved. 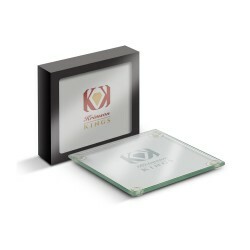 High quality, machine-cut set of 4 glass coasters in a smart gift box. Can be pad printed or laser engraved. 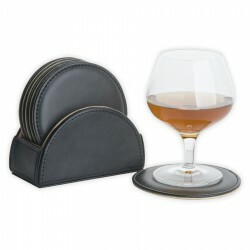 Six piece textured PVC coaster set with cork look backing and stand.